West Midtown Atlanta's favorite Asian fusion restaurant and bar. 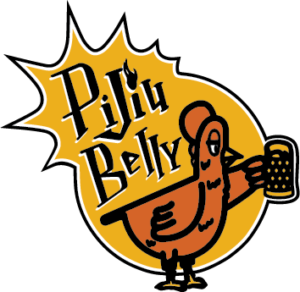 Pijiu Belly ("pijiu" meaning "beer" in Mandarin) was created by the Shou Family. The Shou siblings grew up in restaurants owned by their parents, and over their 25 year career as restaurateurs, they've created several local successes. To infuse an English Gastropub with cuisine & hospitality from their family's Korean-Chinese heritage. As you can see, Pijiu Belly delivers an experience right in line with that vision - Korean-Chinese dishes, great beer-wine-cocktail options, fun and games...not to mention great TVs for Atlanta United and Falcon Games. Welcome home, and please make sure you have enough to eat!